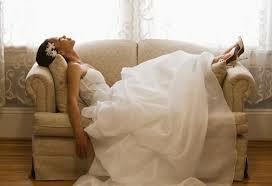 Stressed planning your wedding ?? You’ve spent months and months planning and putting all the pieces together to make sure that everything runs smoothly. You’ve been excited, stressed and nervous to name but a few emotions ! Picture this: It’s the morning you’ve been waiting for… your Wedding Day has finally arrived. You’re filled with excitement, joy and anticipation. You’re surrounded by everyone you love, your most favorite people in the whole world and it’s going to be a beautiful, wonderful day. THEN…. You get a call, your Make-Up Artist got a flat tyre on the way to you and is unable to fix it herself (might break a nail and all that) and she might not make it to you, your hairdresser refuses to start until your make up is done, so your hairdresser tells you she’s charging you extra for having to wait around. About half an hour of you stressing passes and you decide to do your own make-up, you’ve always done your own make-up, how hard could it be, right??? So, you’ve done your own make up, it looks ok but not photo worthy ! Soon after that the Wedding Car Hire Company calls you because the driver got lost trying to find your house and unfortunately, because the car is a vintage1930’s car, the engine overheated and is now spewing steam out of the bonnet, the company owner apologises profusely but can’t don anything to help other than send you a taxi. Your father in law has a pretty good looking car so you decide to use that. You finally arrive to the church, feeling flustered, stressed and overwhelmed. You walk up the aisle to meet the love of your life and the priest / officiant proceeds to pronounce your name incorrectly. He finally gets it right after a few times mispronouncing it and being corrected by you. You and the love of your life get married in a beautiful ceremony. Your photographer is wonderful and soon the stress of the morning starts to fads. UNTIL …you arrive at your reception to find it’s not at all how you envisioned, the tables don’t look ANYTHING like you had discussed with your Mum and Auntie who PROMISED they would take care of all of that for you. You decide, its grand, it’ll have to do. The food is great, the band starts playing and after an hour or so of great music and dancing you realize the DJ should have been there to set up… but there’s no sign of him !!! Sound like a wedding day you want to remember ??? No…. didn’t think so !!! Now, Picture this : It’s the morning you’ve been waiting for… your Wedding Day has finally arrived. You’re filled with excitement, joy and anticipation. You’re surrounded by everyone you love, your most favourite people in the whole world and it’s going to be a beautiful, wonderful day. There is no checklist and there are no problems for you to solve ! Because… your Wedding Coordinator gets a call from your Make-Up Artist telling her that she has a flat tyre and she might not make her appointment. Your planner gets on to her contacts, finds you a Make-Up Artist who can be there in 50 minutes, your Coordinator has asked your hairdresser to agree to do your hair before make up and so there is no extra charge because there is no waiting around. Your Coordinator gets the call from the Wedding Car Hire Company to say the driver has car trouble and definitely won’t make it, again, your coordinator is immediately on to her contacts and because all her vendors are reputable vendors, she is able to source you a really nice car pronto ! A beautiful car arrives to take you to your wedding ceremony, and you are beyond excited to walk up the aisle to meet the love of your life. Your priest / officiant pronounces yours and everyone’s name properly because your Coordinator has gone through all of this with the officiant at your rehearsal (which she also coordinated). You and the love of your life have a beautiful wedding ceremony. After having a lovely time getting your photographs taken, you arrive at your reception venue and you and your now husband go in for a sneak peak of your reception room. You are both blown away by how gorgeous it looks, even better than you had ever imagined. Your coordinator has brought together all your ideas and it looks stunning, you can’t wait for your guests to see how beautiful it looks. The food is fantastic. Your band has arrived and your guests fill the dance floor for the entire night and your DJ rocks the party till late.You have had the most wonderful day, you didn’t having to stress about anything because your wedding coordinator totally rocks and has timed your day to perfection and you knew her and her assistants looked after all the details behind the scenes throughout the day, leaving you to mingle with your guests and enjoy every single moment of your day and… you could look like this !! Moral of the story …. You have spent a small fortune planning your day to perfection. 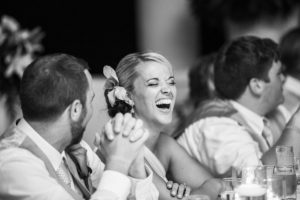 Ensure it goes to exactly how you want by hiring Rachel at Inspired Events, and let your family and friends be guests on one of the most important days of your life so they don’t miss a single moment. Call Rachel on 086 8298706 Inspired Events… Where passion meets perfection.